When you speak of Rafael Nadal, you already know how great of a tennis star he is. However, another set of words that has been associated with Nadal’s name is “injury prone”. Yes, Rafael Nadal is probably the most injury prone star in the circuit, currently. Therefore, when you hear that Nadal has made claims of beating Roger Federer’s Grand Slam record, you cannot help but laugh at the mockery that the Spaniard is making out of himself. 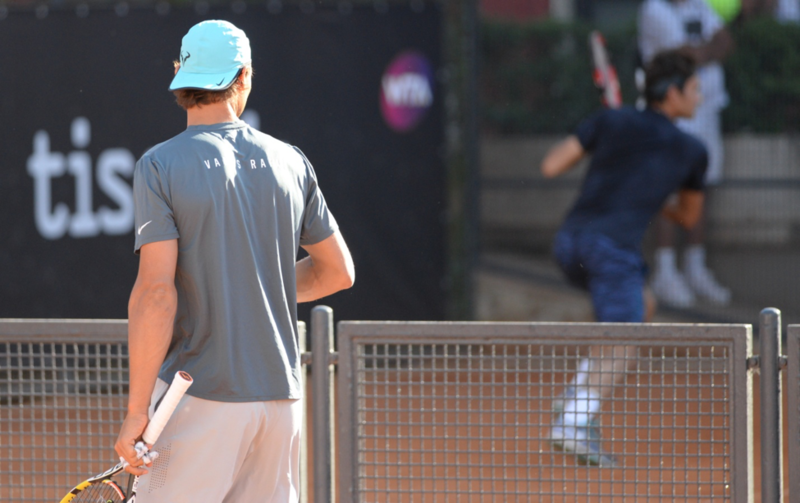 Nadal might be four years younger than Federer, but it wouldn’t be wrong to say that he cannot even come close to the high standards of tennis fitness that the 36 year old veteran has managed to maintain. Continuing his dominance, Federer won his 20th Grand Slam title after he beat Marin Cilic in the final of the Australian Open. And what was Nadal doing while Federer was hunting for the gold? Well, he was out injured…again! It is one thing to be optimistic and self confident, but with Nadal, it’s more a case of being delusional than self confidence. Unless Nadal could, somehow, swap his fitness and consistency with Federer’s, it’s almost a certainty that his trophy cabinet won’t even be close to Federer’s, by the time both of these stars decide to hang their shoes! 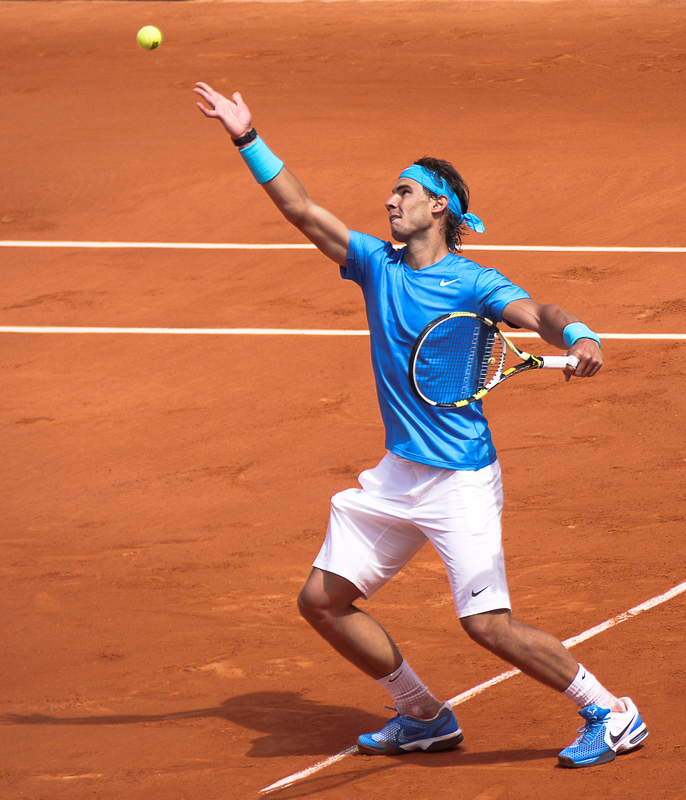 Nadal Wins French Open: Loses Humility! Rafael Nadal may know a lot about winning games, but he sure needs to learn a thing or two about being humble. We all know the great form the Spaniard has been in recently. The prodigy, however, seems to be losing hold of his humility—a characteristic he had previously been known for. He recently won his 10th French Open with style. During his post-match speech, he went on to brag about his “unprecedented” success. If that is not enough to rip his fake persona of humbleness apart, the Spaniard even had the audacity to imply that he was ‘the one’ to achieve the feat. Things like these are well understood, and other players don’t need a reminder of what you’ve done with your career. With his 10th French Open, Nadal has won his fifteenth major title. This is certainly not the first incident where he showcased his arrogance though. Only recently in April 2017, Nadal bashed a 20-year old German—Alexander Zverve—for wanting to compete with him. Instead of inspiring the young athlete, he called him “strange”, just because Alexander had lost to Nadal thrice in the past. He sure may be an icon in the court, but outside of it, fame and success have made him lose humility. Author adminPosted on June 13, 2017 June 13, 2017 Categories Rafa Nadal, TennisTags French Open, Rafa NadalLeave a comment on Nadal Wins French Open: Loses Humility! The more you speak of the ‘Federer Glory’, the less it is. He beat Nadal to clinch the third title of the season, in style! If you think that Roger Federer has aged enough to retire, as some people suggest, you are absolutely wrong at your notion. This guy continues to make people admire his exquisite backhands and pristine precision shots. In the final of the Miami Open which was played in Itau, he beat Nadal 6-3, 6-4! As if the win in Indian Wells wasn’t agonizing enough for the fans of Rafael Nadal, the duo met again on Sunday when Federer was crowned his third Sunshine Double. It is often baffling how, at the age of 35, he still packs that pace and agility that gets him to win crucial games against some of the best in the game. He continued saying that the match was far different from what the scores state. “It was close.” he said. Author adminPosted on April 4, 2017 April 4, 2017 Categories Federer, TennisTags Federer, NadalLeave a comment on Federer Does It Again!